Circuit of stereo FM transmitter of of high quality using integrated circuit ba1404 for mp3, mp4, ipod, computer, radio of the car. Transmit of your equipment of portable audio for the radio of your car, transmitters of fm of low potency are the ideal for transmission wireless of audio sign for fm receivers. Mainly in that case that is treated of transmitter of FM stereo with ba1404. 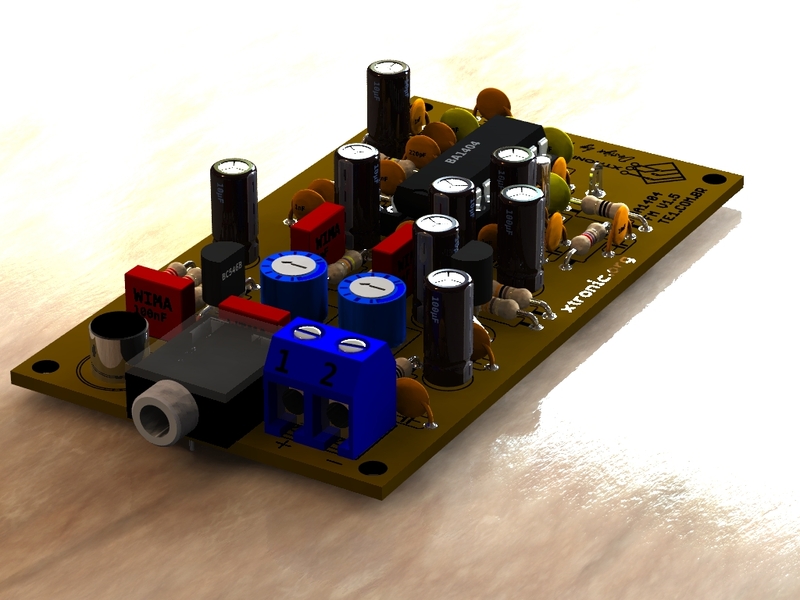 The heart of that circuit is the circuit integrated ba1404, that is a mini fm transmitter, that already counts with the necessary internal circuits for transmission in fm. just being necessary to increase some components discman or any other audio source turning the wireless. If you already set up other transmitters of transistorized fm it will see that when setting up that with having integrated BA1404, that the quality of the sound and the frequency stability is excellent. Besides the but it presents easy assembly. The feeding of the integrated circuit is from 1.3 to 3 volts, observe that if the tension passes of 3 volts the ci it toasts. With two piles of 1,5 volts you will get maxim potency of the ba1404, THE capacitor CX it is a bypassing capacitor he will be of 100nF if the feeding be made even with piles, but if it will use source of external feeding, CX it should be of 2200µF (electrolytic) + 100nF (ceramic)., if necessary it uses an inductor of 100µH in the feeding line +b. Remember to use a source very well regulated, since if the tension passes of 3 your volts CI BA1404 it will toast. The same best is to use two batteries you recharged of those that it comes with digital cameras. 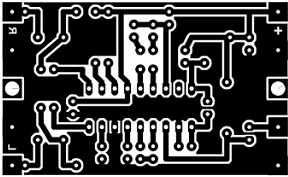 But if you want to use an eternal source, I recommend that uses one with ci lm317 and adjust the exit for 3volts. with a multimeter. The antenna so much can be a telescopic antenna as a piece of rigid thread from 15 to 30 cm. 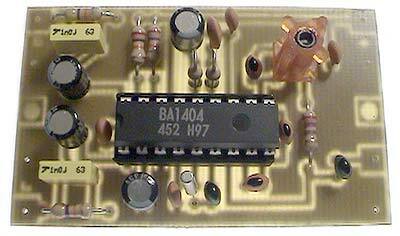 All components for assembly are easy of finding, except the ci Ba1404 and the crystal of 38khz, those components can be found at several stores in the internet, as the free market.It is possible to find that circuit in the kit form in the free market, project. 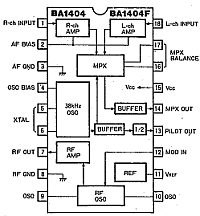 Also equipping the TVs Sharp, I model C14/2053 with ear phone, but as the modulation had a low frequency to flee of FM and of the channels of Tv, it had a stuffy sound and without quality, as that becoming something obsolete for who possessed the TV. Then for who has that tv can find him/it integrated and the coil of 3 turns. If you don’t get the crystal of 38khz, the only thing that will happen and you not to have a transmission stereo, but it will have a transmission monkey with excellent quality. I model of the reels that should be used in the fm transmitter. But in any way if you don’t find that reel, you can do same a winding 4 exhales of thread of copper 22 awg enameled on a nucleus of ferrite of 5mm of diameter, to adjust the frequency of operation of the transmitter stereo it uses a plastic key to adjust and to find a strip of free from fm. She not to get to tune in in the strip of fm 88 to 108 MHZ, try to alter the value of the tunnig capacitor. In last case the reel can be 4 you exhale of thread enameled with nucleus of air and the capacitor a variable capacitor from 3 to 30pf. adapt, it happens a variation in the size of that reel that will interfere in the frequency stability, what is not ideal in generators of fm of good quality. If you want to use the transmitter stereo in your car to transmit of the mp3, ipod, cellular, mp4 for your fm radio perhaps is necessary to reduce the potency of the transmitter. For that to reduce the size of the antenna and just use a pile to feed the circuit. That circuit is a generator of fm stereo of fm of low potency but that can be used with a potency stage, for a summer of a transmitter of fm stereo of high potency. Excuseme i have a problem. I bought this same circuit in Electronics DIY. But i had a problem with the circuit noise or tuning, i dont know exactly which is the problem. When i am tuning using a plastic screwdriver, i hear so much noise, i cant tune the signal. Congratulations this is a perfect page!! !